Creating success in business is not a simple task and requires sound knowledge about the competition. 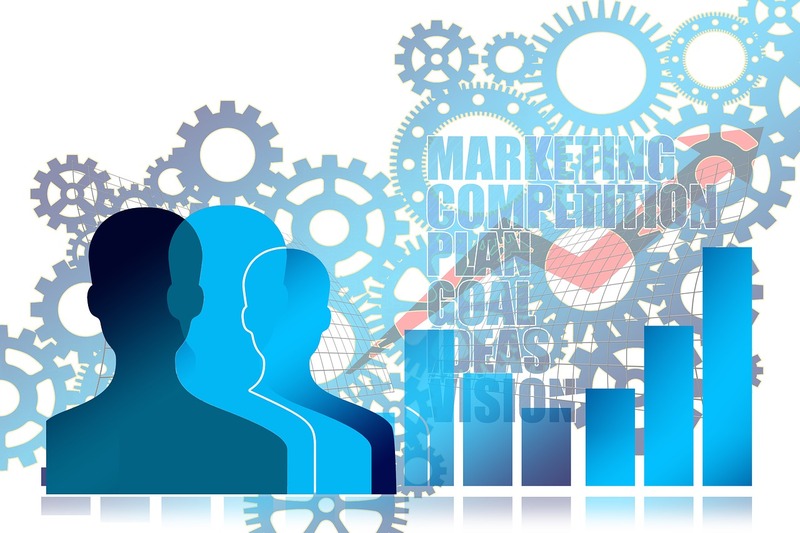 However, applying too much on the race will work against you and research about latest marketing trends and plan according to serve your market with proper strategies and today I am going to share with you the effective marketing strategy which can give you edge for your competition. The marketing plan of a business is a section that outlines the overall game for finding appropriate ways to attract clients or customers to the business. Any marketing campaign that is unique attracts more attention and leads to more sales thereby profits. It is necessary to look for some new ideas and search for an untapped market, which you as well your competitors overlooked. It could be children, adults or aged ones. The business marketing strategy focuses on what you want to achieve the success of business and marketing efforts. A marketing plan details about attaining goals strategically. A perfect marketing strategy incorporates your business functionalities and how your business fits into the 5Ps of marketing to develop tactics and techniques that will achieve the marketing objectives. When is a Marketing Strategy Developed? The marketing strategy of any business should be created before the business start. Without a proper understanding of how your business fits into the marketplace and how to compete with the competition, you cannot create a perfect market strategy. Similar to the business plan, market strategies are not constant and changing as required to improve your progress. It is necessary for you to research and adjust your marketing strategy according to the continuously changing trends in the market from time to time, and considering other factors that impact your sales. How to Create an Effective Marketing Strategy? Before creating an Effective marketing strategy, you have to know about your services and products and how they benefit the customers, and how it’s unique in the marketplace when compared with other businesses. Further, it is necessary for you to perform regular market research to know about your target market, your competition, and other factors that have an impact on your ability in reaching and enticing people to your business. Start your marketing strategy with an efficient and rigorous SWOT analysis, considering your opportunities, strengths, weaknesses, and threats. Conducting market on existing customers at this point is a good idea, and helps you to make an honest image of your name in the marketplace. While creating your strategy, your focus should be making your products and services meet the requirements of customers, and establishing profitable and long-term relationships with them. It is essential to create an effective strategy that can perfectly suit changes in perceptions and demands of customers to achieve success. It may also help you identify trends in markets that you can target and achieve desired results. Product: It deals with the physical attributes of your products or service uniqueness. How your product/service is different from your competitors and what benefits you provide to your customers. Price: What is the cost of your product or service? What is your profit margin by selling the product at that price? How does it compare to your competition? Place: The area where your services and products are available for the customers to purchase? It is beyond having a home office, and where the consumers can buy. If you’re in several places, you should work to calculate the sales percentage from each location. Promotion: How will you go to let the market know about your products or services? How will you explain them about benefits and features you provide to the customers and how you entice them? What are the tactics you use? It also includes information about any coupons or incentives you use to attract business. People: This is the additional ‘P’ added to the marketing mix and is essential if any others are involved in helping you create or deliver your services or products. These people include salespersons, virtual assistants doing sales calls, customer service. It also deals with the level of training and experience in providing business help. When designing a plan, be specific, use detailed steps, budget projections and visuals. Don’t forget to refer to your developed marketing strategy, assess or change your plan of marketing. If you’re already using a business plan to generate angel investors or get a loan, the marketing plan and strategy will be essential elements to your success. Along with quality, financing sources also wants to see your plan and understanding for reaching your market. You need to establish and prove what you do to prove yourself, to beat your competitors, in fact, have competition. Many times, businesses with same services and products have distinct markets. For example, two digital marketing agencies selling the same functions aren’t competitors if one works with corporations and other works with creative artists. If you do share a market with other business, the following tips can help you get a jump on your competition. Any business will thrive when you provide customers with what they want, even if it means changing your products. One of the best ways to achieve with this is to regularly perform research on your target marketplace and ask your customers directly about their requirement. If you are unable to find what they are expecting from you, analyzing what they are not getting from your competitors and provide them the same-you can go ahead. Throughout your business journey, develop your products or services ensuring your customers that you are providing what they want at every stage. It’s impossible to reverse engineering someone’s marketing strategy is impossible. You probably see them posting, advertising, publishing, etc. isn’t it providing you an accurate picture of what they are planning. Besides, there are several components you’ll never see in full, like PPC campaigns and Email marketing. The time needed for market research is usually undervalued. Condensation your daily operations can free up longer to specialize in reaching your market. If you are having an in-house website developer dedicate to maintaining your website, one of these small business website builders will serve you well. For businesses without a full-time tech staff, the more comfortable is to edit and maintain your web assets in a better way. If your website is currently built on a complicated platform like Umbraco, Joomla or Drupal, move it to a regular CMS like Webs or Wix as soon as possible. Any of your staff members can help you while doing, whether they are from the technical or non-technical background. Difference between Wix and MotoCMS. The mindset to beat your customer will always keep you focused on performing tasks. If you want to stand out from your competition, then focus inward and get better leverage. It is a known fact that the success of any business as creating the better customer experience, not outdoing the competition. Best experiences help the business attract more customers especially new ones and make them keep for extended and expand into other areas to define prices to them. If you’re reaching to do one thing higher than your competition, provides the better user experience. That’s where you’ll get the leverage to make your competition irrelevant. Create higher user expertise, that’s wherever you’ll get the leverage to form your competition irrelevant. Prasanthi Korada, a Post Graduate in Computer Science from Andhra University was born and raised in Kakinada. She is currently working as a Content Contributor at Mindmajix.com. Her professional experience includes Content Writing at Vinutnaa IT Services and Digital Marketing at Prominere Software Solutions. 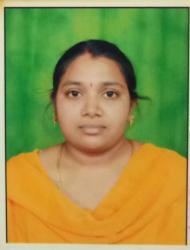 She can be contacted at deviprasanthi7@gmail.com. Creating your own custom marketing strategy to take on your competition is smart. It is the best way to grow and expand your business. I would also highly recommend doing this when building your own business from scratch. You have to create such marketing strategy and implement with consistency. I would like to create more blogs on trending technologies in coming days. you also visit my website for Technical Support. Great read! Performing a SWOT analysis and other research strategies can really help you plan carefully your business’ marketing strategy. You mentioned that a marketing strategy should be done at the beginning of the business. I think that it is also important to do a series of strategies. Start with research, execute a campaign, evaluate, then go back to research then do another campaign. I borrowed this from a PR study but since PR and marketing are close to each other, i think its applicable to both. Hello Amarasmith, Jamie Cordon and Jiara Familiar for the comments. Will try to share some more useful blogs in coming days. a very informative article about effective marketing strategy. wao great such a beautiful article very understandable for everyone. Each and everything is in clear and describe in details. I recommend to newcomers to learning Digital marketing, E-marketing, Multimedia Marketing etc.